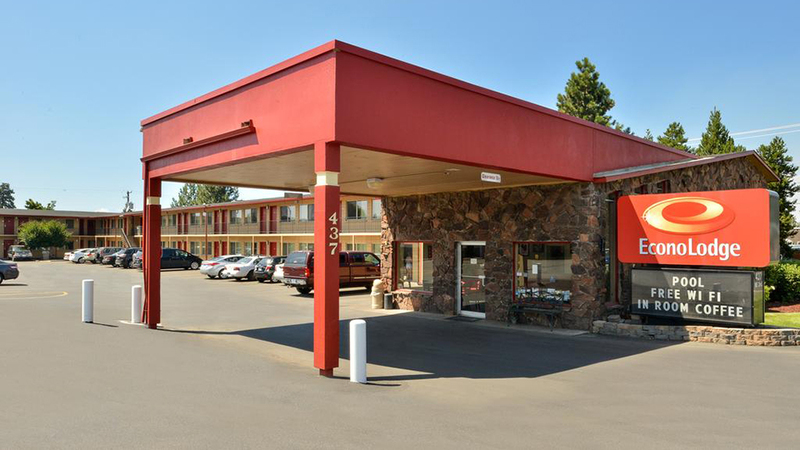 The team at Econo Lodge Bend is here to provide you with the amenities you need while still allowing you to stick to your budget so you have the funds you need to have some fun. Centrally located on 3rd Street in Bend, guests can check out the nearby Old Mill District, an outdoor delight with walking trails along the river, numerous shops and restaurants, and a movie theatre. If natural wonders are what you’re looking for, you’ll find endless opportunities to be awed by Central Oregon’s scenery. Benham Falls, Mount Bachelor, Lava River Cave, Pilot Butte, Newberry National Volcanic Monument all provide fresh air and spectacular vistas within a 30-minute drive. Nature lovers can also visit the High Desert Museum for an intimate look at the region’s history and wildlife. Back at Econo Lodge, relax in well-appointed rooms featuring refrigerators, free WiFi, microwaves, TVs and coffee makers. A Free Easy Starts® continental breakfast will start your day off right and Econo Lodge’s green practices will leave you feeling good about your stay.